Aug. 1-3 are the days of the 2019 IMOA show that will be hosted in Dayton, Ohio. 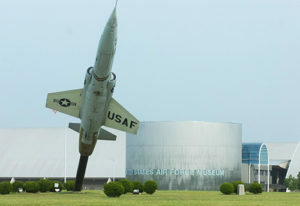 Besides the Saturday car show at the host hotel Marriott at The University of Dayton, there are trips available to the National Museum of the U.S. Air Force, the Gale Halderman Museum, National Packard Museum, Wright Cycle Co./Wright-Dunbar Interpretive Center and more. The Marriott address is 1414 S. Patterson Blvd., Dayton, Ohio 45409. Its phone number is (937) 223-1000 and its website is at www.dayton-marriott.com. Rooms are reserved at the IMOA negotiated rate of $124 per night. Please reserve your rooms through the hotel directly and be sure to mention that you are part of the IMOA car show. IMOA signed a contract with the hotel to hold rooms for us at our special rate and we are responsible to fill these. This rate is available for three days prior to and three days after the show. However, the hotel is only reserving rooms for the IMOA through July 2, so be sure to make your reservations by then to insure you will have a room available. Show attendees will receive a discount coupon for the Dewberry 1850 restaurant located inside the host hotel. There are also a large group of restaurants covering all types of food, from burgers to fine dining, that are located within a mile of the hotel on Brown Street. Please note that the following events and times are subject to change or be added to. U.S. Air Force at the Wright Patterson Air Force Base. We will line up at approximately 9 a.m. and caravan over to the Wright-Patterson Air Force Base where the museum is located. We will be parking as a group. This is a very large museum that covers all things aircraft related, from the early days to current. There are displays from World War I and II, Korea, Vietnam, the Space Program and presidential aircraft. There is no charge for parking or the museum. Wear your walking shoes. The museum is in four of the largest hangers I have ever seen. It is impossible to see every display in one day unless you are training for a marathon. Most people take two or three days to see it all. We strongly suggest adding a day or two onto your trip. The museum does have a snack bar (burgers, hot dogs, fries, etc). There are restaurants nearby, but they are off the Air Force Base. Registration continues Thursday from 4 to 5 p.m., and again from 7 to 8 p.m.
Mustang and the Mercury 1968-69 Montego/Cyclone. This tour will last until about noon, when we plan on stopping at T.J. Chumps in Huber Heights. This is a sports bar near I-70. We will then head to the National Packard Museum (www.americaspackardmuseum.com). 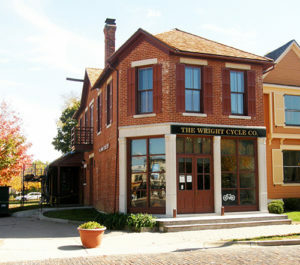 The Wright Cycle Company and Wright-Dunbar Interpretive Center is located a few blocks from the Packard Museum and is a National Aviation Heritage Area. Unknown to most people is that the cycle company was the first profitable business of Orville and Wilbur Wright. Started in 1892, it became the home for some of their famous aircraft innovations and inventions. They used their profits from the sales, repair and rentals of bicycles to help finance their interest in aircraft. They constructed their first plane, the Wright Glider, in the bicycle shop and completely converted the building to plane experimentation in 1909. Friday night registration is from 4 to 5 p.m.
Show day is Saturday and the field opens at 8 a.m. All vehicles must be on the show field by 10 a.m., when judging begins. Circle of Friends in the parking lot of the hotel Saturday evening.